An influential Arizona Democrat is placing the blame for the government shutdown — and the lasting impacts on public lands and Native American tribes — squarely on President Trump. 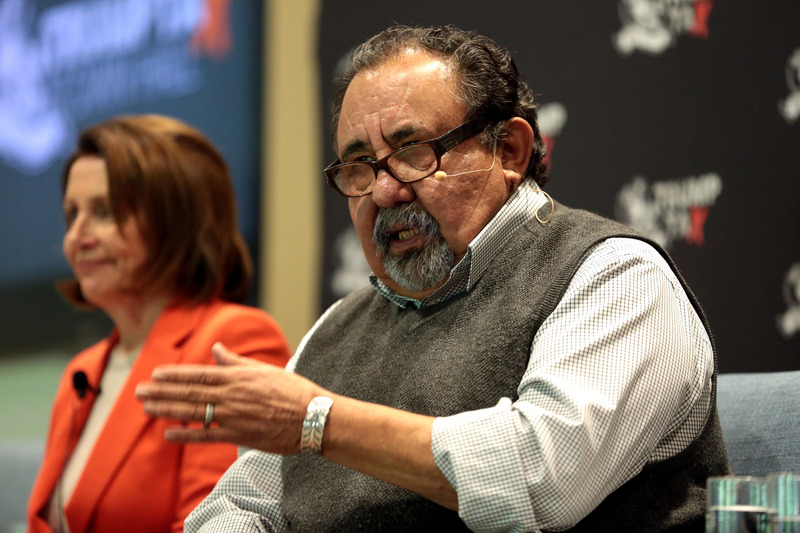 Rep. Raúl Grijalva, the new chairman of the House Natural Resources Committee, joined his fellow Democratic lawmakers on Capitol Hill Tuesday at a hearing aimed at assessing the impacts of the shutdown that’s now the longest in U.S. history. “I think it’s important to note that we are in this situation not because it had to happen,” Grijalva said. Grijalva said he wanted to “highlight the humanity” and the costs to parks and public lands — areas that in the past have been considered collateral damage when the government shuts its doors. Former Obama administration officials warned Grijalva and other lawmakers that it’s inappropriate and dangerous to keep public lands accessible during the government shutdown. The Trump administration’s decision to do so could compound the long-term damage, they said. Many of the problems plaguing the understaffed parks “could have been avoided, but now we’re seeing them come to pass, with overflowing toilets, visitor accidents and damage to resources,” he added. The Park Service stated in a shutdown contingency plan that the parks would only offer services “essential to respond to emergencies involving the safety of human life or the protection of property” and would cease to clean restrooms, collect trash and maintain roads. Arizona’s Grand Canyon National Park has been able to stay operational due to a contingency fund put in place by Gov. Doug Ducey, but other parks around the country have been hit by the shutdown. In California’s Joshua Tree National Park, vandals set up illegal campsites and cut down some of the park’s iconic trees. Under Obama, Jarvis decided to close the parks when the government shuttered. “That decision, I believe, was principled and it was based on the statutory responsibilities of the National Park Service to conserve these places unimpaired for the enjoyment of future generations,” Jarvis told lawmakers on Capitol Hill today at a hearing about the impacts of the shutdown. The closure of the parks also sparked a public outcry, which is likely impacting the Trump administration’s decision to keep them open. National wildlife refuges have similarly remained open during this shutdown. The administration last week directed the partial restaffing of 38 refuges to ensure that hunters and others have access, the Associated Press reported. “Couldn’t some refuges remain open, perhaps under state or volunteer management, perhaps using fee or carryover funds, perhaps leave the gate open and visitors unattended?” Ashe told lawmakers. “In our view, none of this was appropriate or lawful,” he said. Both Jarvis and Ashe warned House lawmakers that parks and refugues are losing critical opportunities to plan for the future as the shutdown drags on, as this time of year is often prime time for reducing fuel loads in preparation of fire season and to plan for summer projects. “I think there will be cascading effects of the existing shutdown and even more so, they will accumulate if this goes on much longer,” Jarvis said.